Ok, I'm trying to be better with the updates so I'll write about some movies. I've had movie-nights with my bf last night and the night before, it was great: a glass of good wine, wonderful movies that a friend reccomended,and my lovely Michele (yeah the other author of this blog), just great! 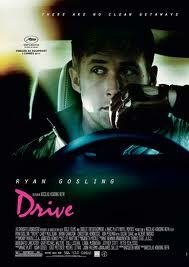 We watched Bronson and Drive, both directed by Nicolas Winding Refn, and they were freaking awesome!! I loved this movie. It was released in 2009, but I had never heard about it until last week. The plot is really interesting: Micheal Peterson (Tom Hardy) was a young man sentenced to 7 years in jail for trying to robb a post-office, but ends up spending 30 years in soliatry confinement. 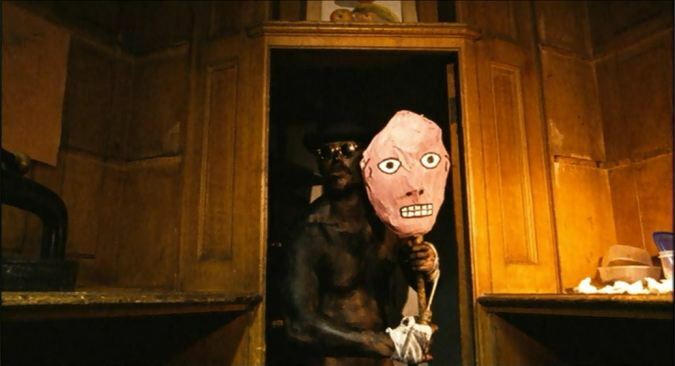 During this time his personality is supplanted by his alter-ego, Charles Bronson. There is great constrast with music and the visual part of the movie, it reminded me a little of "Clockwork Orange", and I think is one the things that makes this movie so amazing. Another wonderful thing is Tom Hardy; he's a really, really good actor, I didn't even recognize him at first. He makes the character perfect, it's just a pleasure watching him act (ok, I think he's really hot in this movie, so you get your daily dose of eye-candy too :P). There's some violence, but I thought it was the right ammount of it (yeah I like violence in movies). It's one of the best movies I've ever seen. I loved this scene, one of the best of the whole movie in my opinion. Step two: call some really good actors and actress to set up an awesome cast, names like Ryan Gosling, Carey Mulligan, Ron Perlman and Christina Hendricks and much more. Step three: create a plot about this weird driver who becomes an hero. Did you think i was going to tell you the plot? Hell no. You have to watch a movie to create your own opinion about it, yeah all right, sometimes it works to search and read something about a movie due to Mr. Google, indeed during the evenings with your friends when nobody knows what to watch (or to do, or to drink...sometimes is just a problem of lack of beer), but nobody pays me to give opinions around, and I'm not a freaking movie-expert who can talk for weeks about the "the smurfs" movie, so take that like an advice: it's really worth watching. It's noir and pulp enough, the actors are really good, and is a really nice concept. It could be a little slow to evolve, but, in the end, the action and the suspance and the brutality of some scenes make you forget the initial "whatamiwatching?" feeling. Ok so now you have two must-watch movies, hope you like them as much as we did. 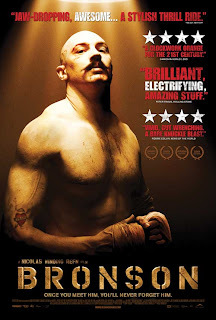 As you can understand from the comments on Tom Hardy's hotness, I, Chiara, wrote the "review" on Bronson.